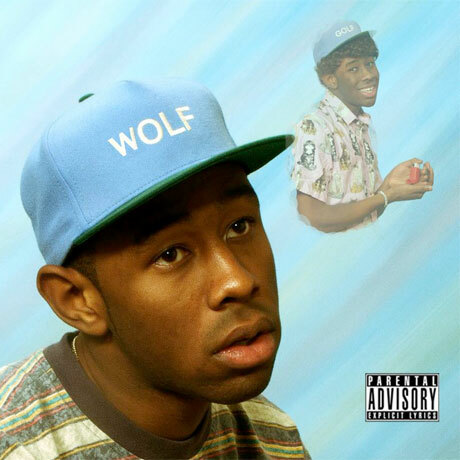 On April 2, Odd Future Records will issue Wolf, the long-awaited new album from Tyler, the Creator. We've already seen three album covers, and now it appears that we get to see the tracklisting as well. FACT points to a leaked tracklisting from Germany's Amazon site, where song titles and collaborators were revealed for all 18 tracks. There are the expected Odd Future collaborators like Frank Ocean, Left Brain, Taco, Hodgy Beats, Earl Sweatshirt and Domo Genesis, as well as guest spots from Erykah Badu, Pharrell and Stereolab vocalist Laetitia Sadier. Perhaps strangest of all is the appear of Dave Matthews' name on the list. UPDATE: According to Pitchfork, the tracklisting is a fake. Of course, it is, it's a damn good one. UPDATE 2: Despite reports to the contrary, the tracklist below is indeed legit. Check out the alleged tracklisting below along with Tyler's "Domo23" video. All of the rapper's upcoming tour dates are available here.